Live Learn Shine On: Wimbledon 2012 - Almost There! Another exciting week of this beautiful tournament, another week that did not leave us without surprises, the last week before all eyes are going to be on London Olympics! "You always try to find ways to get into it, even if you feel your level is just not there... Maybe you're just a little slow, you try to pump yourself up. She did many things much better than me today." That same day soon-to-retireBelgian Kim Clijsters lost her final match at the tournament (maybe not? ;)) in straight sets to another German, Angelique Kerber, 6-1 6-1. "Wimbledon to me was like Disneyland to another child. 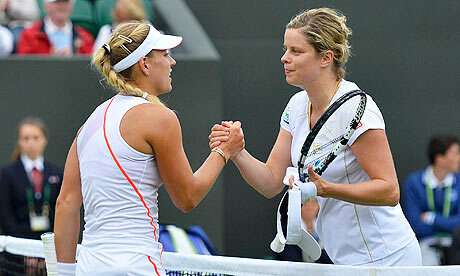 So it was such a beautiful thing," said Clijsters. 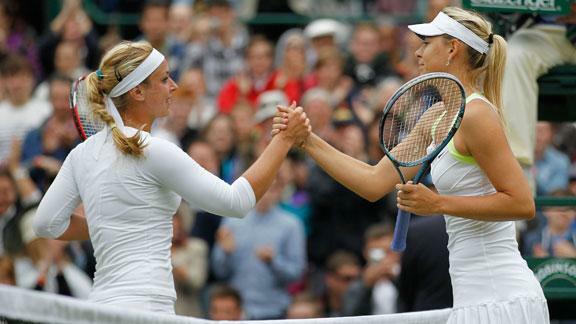 One match that was very interesting to watch was Ana Ivanovic & Victoria Azarenka one. Both of the players seemed very determined to win and showed some good tennis, but the result speaks for itself: 6:1 6:0 - though Ivanovic tried, it looked more like Azarenka was teaching her how to hit the vital shots. Roger Federer's gracefulness was not so graceful during the 1st set of the Malisse match: he seemed ill at ease in establishing the lead and had to leave the court for eight minutes to have treatment on his lower back. When he returned his movement was not on top again, however, when Malisse served for the set at 6-5 Federer did his best to get himself out of trouble before taking the tiebreak. After a rain stoppage, and further treatment at the end of the third set, Federer found some fluency to set up a quarter-final against Mikhail Youzhny. Agnieszka Radwanska - the first Pole to reach a Grand Slam final since 1937, and is looking for her 1st ever Grand Slam title! Andy Murray, making it into his first Wimbledon final on 4th attempt and looking for his first Grand Slam title of the carreer.